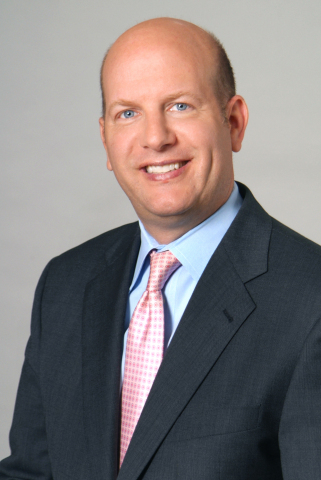 Prudential Retirement has named Harry Dalessio head of its Full Service Solutions group, which provides defined contribution, defined benefit and non-qualified retirement plan solutions to public, private and nonprofit organizations. In addition, Scott Gaul will replace Dalessio as head of Sales and Strategic Relationships responsible for full service corporate, tax exempt, investment-only, pension risk transfer, nonqualified sales and channel management. Prudential Retirement is a business of Prudential Financial, Inc. (NYSE: PRU). Dalessio and Gaul will assume their new roles in the fourth quarter of 2017 as Jamie Kalamarides transitions to a new role as president of Group Insurance. Gaul's successor has not been named. "Jamie has been a terrific contributor to Prudential Retirement's success, and we are delighted to see him assume leadership for the Group Insurance business," said Phil Waldeck, president and CEO of Prudential Retirement. "Harry and Scott bring a breadth of experience to their roles, including deep knowledge of emerging trends and our clients' needs and strategies. I am confident their leadership will continue our momentum in delivering workplace financial solutions through unique, customer-focused plan designs and services for our customers and advisor partners." Prudential Retirement delivers retirement plan solutions for public, private, and nonprofit organizations. Services include defined contribution, defined benefit and non-qualified deferred compensation recordkeeping, administrative services, investment management, comprehensive employee education and communications, and trustee services, as well as a variety of products and strategies, including institutional investment and income products, pension risk transfer solutions and structured settlement services. With more than 85 years of retirement experience, Prudential Retirement helps meet the needs of 4.2 million participants and annuitants. Prudential Retirement has $395.5 billion in retirement account values as of March 31, 2017. Retirement products and services are provided by Prudential Retirement Insurance and Annuity Company (PRIAC), Hartford, Connecticut, or its affiliates. Prudential Financial, Inc. (NYSE: PRU), a financial services leader, has operations in the United States, Asia, Europe, and Latin America. For more information, please visit news.prudential.com.